Thanks to the Labour movement, we’ve made significant gains in working conditions over the years. On average, unionized employees make higher wages than non-unionized employees, and are more likely to receive health benefits and to have pension plans. But for those people working at or minimally above the minimum wage, whether they are unionized employees or not, we’ve still got a long way to go. A recent report co-published by the Canadian Centre for Policy Alternatives, United Way of the Lower Mainland and the BC Poverty Reduction Coalition, Working Poverty in Metro Vancouver, shows that over 100,000 working-age people in Metro Vancouver were working but stuck below the poverty line in 2012 (the last year for which statistics are available). Just over half of the working poor are married or living common law, and 42 per cent have dependent children. The median family income for Metro Vancouver’s working poor was a mere $18,060. When you consider that we live in one of the most expensive cities in the world, let alone in Canada, it’s no wonder families are struggling. A recent report, Working Poverty in Metro Vancouver, shows that over 100,000 working-age people in Metro Vancouver were working but stuck below the poverty line in 2012. Today, the reality in the Lower Mainland is that a job is no longer a guaranteed path out of poverty. Poverty is a complex social issue. It marginalizes families and gets in the way of meeting basic human needs such as access to nutritious food, stable and safe housing, and clothing, let alone participation in social and cultural activities in our communities. Children living in poverty suffer a number of negative health and social effects including poor nutrition, behavioral problems, and poor social skills. They also tend not to excel in school: it’s hard to concentrate when you’re hungry. United Way and Labour have worked together to change lives for the better for more than 30 years. We believe that everyone who lives here should have access to opportunities to build a better life for themself. As employers, coworkers, neighbours, and service providers, we all share in the responsibility to create neighbourhoods and communities that we are proud to call home. At United Way, we’re doing our part by paying our staff and contractors a living wage. It’s time for our policy-makers to do their part too. The Working Poverty report suggests that a $15 minimum wage, stronger employment standards, more affordable housing, a $10/day child care program, and better access to education and training for low-income earners are key parts of the solution. It also calls on the provincial government to adopt a comprehensive poverty reduction plan for BC. As the new Director of the Labour Department at United Way of the Lower Mainland, I am excited about tapping into the power of the collective. As we head into the next provincial election, now is the time to work together, no matter our political stripe, to call for a comprehensive poverty reduction plan. When we work together, amazing things are possible. 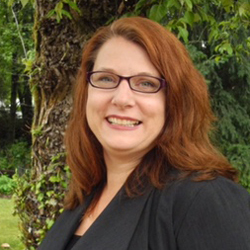 Nicola Hill is Director of United Way of the Lower Mainland’s Labour Participation Department. The role works within the United Way and the Labour movement to channel their collective energies toward a common goal to address community issues and needs, and helps to ensure there is a broad range of accessible, universal, and high-quality social services.